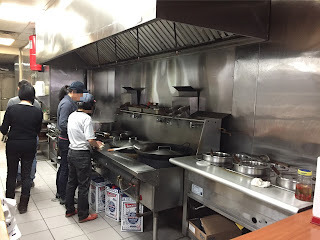 A while ago, I was looking for some good dumpling spots, especially fried/grilled ones that I grew up with in Japan despite the original dumplings were boiled in China. 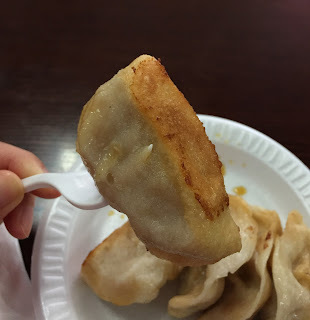 Then, some research result showed "Tasty Dumpling" at the edge of China Town, and they serve 5 pieces of grilled gyoza (dumpling) for 1.25 dollars. The cheap price and good reviews definitely interested me. Inside, there're 4 tables with 4 chairs each and a counter with 2 tall chairs. Not only do they sell dumplings, but also they serve noodles, soup, and etc. A little note at the counter. 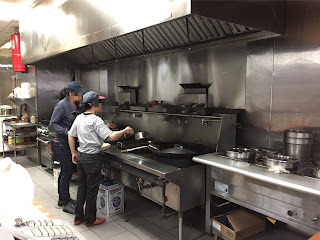 When I proceeded to the counter, the staff asked me in Chinese, but as I don't speak that language, I said the number listed next to that kind I wanted and to stay, not for to-go. The kitchen was behind the counter and there're 3 large pans. They're constantly grilling and boiling some dumplings so that my plate was ready in less than 10 seconds. 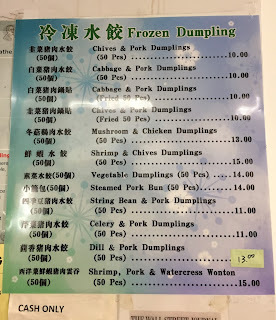 The first impression on the dumplings was "dumplings meant for boiling were fried/grilled," and they didn't have fragrant scent and looked gooey. The size seemed normal, not too small or too large. On the table, there're 2 bottles; soy sauce with vinegar (right) and sriracha sauce. Usually, I mix vinegar and soy sauce with la yu chili oil to dip gyoza, often more vinegar than soy sauce, thus I chose the right bottle. The soy sauce mixed with vinegar had nice sourness with little saltiness from soy sauce, and it's close to what I make and it's light. As it's fried, the bottom had a nice brown grilled mark, but it's not crispy but just greasy. It's not hot-hot but lukewarm. This dumplings were exactly what I had thought of, and the skin was as thick as they use for boiled dumplings and it's very chewy. 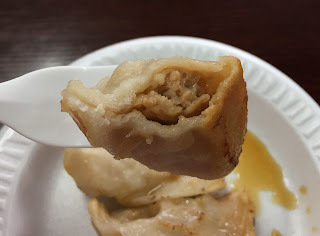 There's a good amount of filing inside, however, I'm used to the thin gyoza wrappers so that this doughy coat was too characteristic and the filling was a bit dried and not juicy. I felt like I was eating "Udon, chives and pork," not dumpling. If it'd been grilled to order, it might have been a bit better. 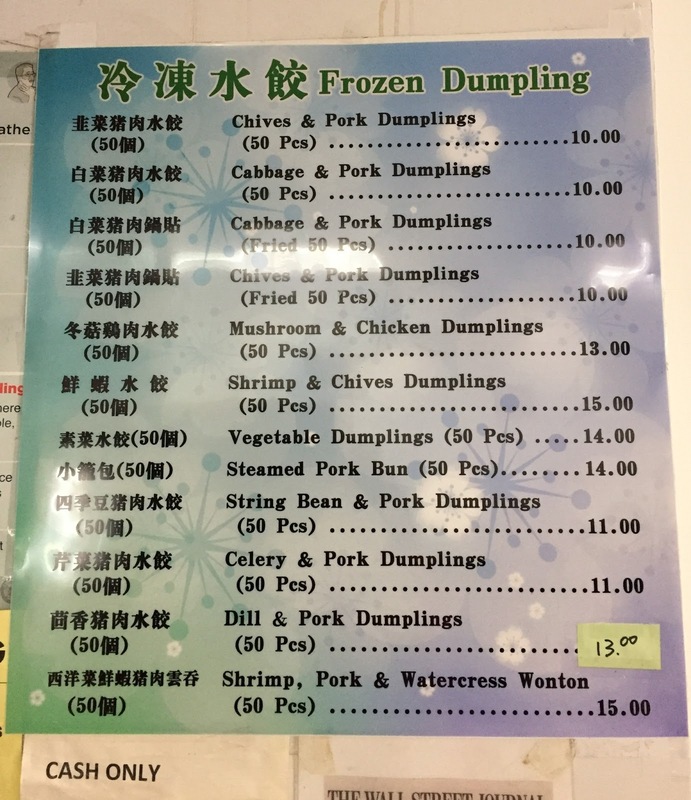 I don't think I'll order fried dumplings here again but if I'm nearby, I might try some other items.